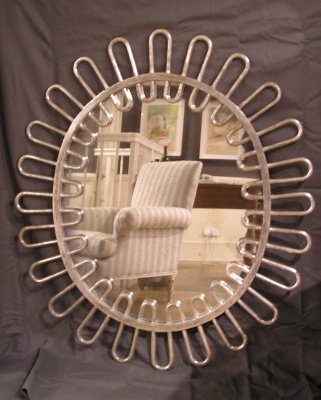 Oval silver gilded mirror with looped frame. To custom make an oval silver gilded mirror with looped frame. Can be made to any size, standard size shown below.